Moving away from the traditional form of apprenticeships, the policy introduced a plethora of new standards, created a host of new training vehicles and set out a scheme for both starter trainees and existing employees looking to upskill, all funded by an apprenticeship levy on businesses that have an annual payroll of greater than £3m. The plan was to promote the scheme to employers and so help increase skills in the UK workforce. However it has not been without controversy, and since its inception has been widely criticised in its practical application. Reports refer to low take up, employers being deterred from using it because of the complexities that are in built together with the additional cost of the levy. One way or another it has not been an overwhelming success story, and many will agree that this is disappointing given the need to upskill our workforce particularly in areas where there is real shortage of essential talent. It’s worth taking a look again at the problem from the perspective of recruitment agencies. Those with a payroll exceeding £3m must pay a 0.5% charge on the excess. This can amount to a significant sum, yet whilst there are some training courses available, the majority cannot identify courses that are genuinely valuable to the agency’s own workforce and commercial objectives. “It is true that some employers will be clients of the levied agencies, and thus they may get some return” says Adrian Marlowe, chairman of the recruitment trade association The Association of Recruitment Consultancies (ARC). “However there is a serious disconnect. There is no way that an employer could know whether an agency has contributed to the fund, other than in general terms. When hiring a worker from an agency the agency fee charge does not transparently reflect any element paid by the agency into the fund as there is no obligation on the hirer to make a levy payment for agency workers. So even if the agency in practice adds the levy charge into its overall fee, the hirer does not know that and in any event, importantly, cannot claim credit for it. 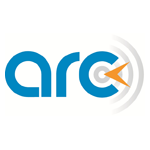 ARC argues that the disconnect can be remedied by allowing agencies to charge their hirers for the levy sum on each hire, in the same transparent way as agencies charge for VAT. “If the hirer pays the levy because its payroll exceeds £3m it could, if it chooses to with an agreeable client, set the payment off, working in the same way as VAT. This would be a selling point for the agency by specific reference to apprenticeship. It is after all employees of the hirer who would use and benefit from the apprenticeship scheme. The consequent discussion would highlight the scheme and its benefits, utilise the funding better at little or no cost to the hirer. Agencies need not charge the levy on to hirers who have payroll of less than £3m”. The subject is now back on the agenda. “We believe that talk of transfers of funds from one employer to another, as suggested at the Conservative Party Conference as the solution to the problem, will simply serve to confuse the position further. People just don’t understand it, not the least that the term ‘apprenticeship’ is usually regarded as learning the trade of the employer whereas the current scheme targets existing long term employees as well as new starts. “Apprenticeship” would not appeal to many existing workforces whereas a ‘training’ scheme, without the straightjacket of the apprenticeship scheme may do.